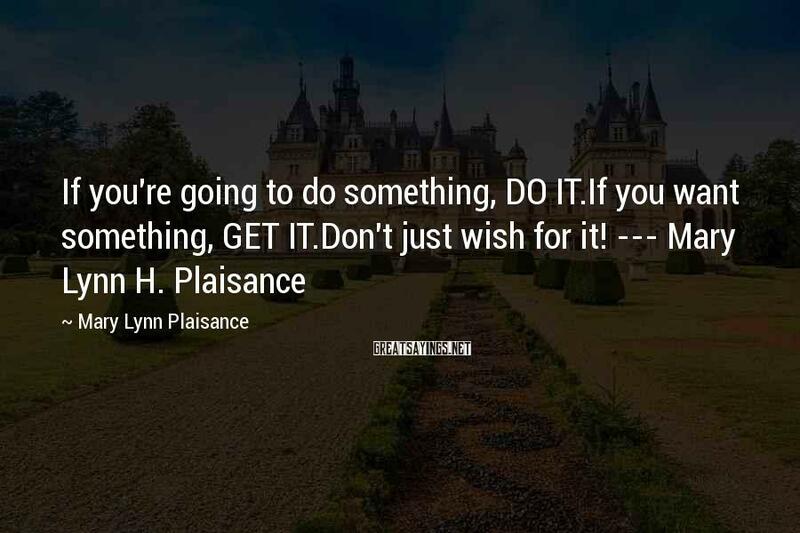 1 Mary Lynn Plaisance Famous Sayings, Quotes and Quotation. If you're going to do something, DO IT. If you want something, GET IT. Don't just wish for it!